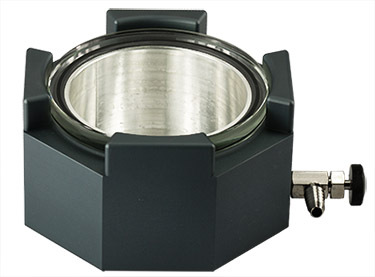 EM-Tec P38 fixed 38° tilt holder for FEI pin stubs. Used to pre-tilt samples 38° for FEI Dual Beam FIB systems. Size w.o. pin is Ø12.7x17mm. 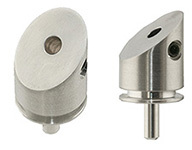 EM-Tec P36 fixed angle 36° tilt holder for Zeiss pin stubs. 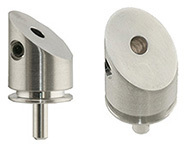 Used to pre-tilt samples 36° for Zeiss CrossBeam FIB systems. Size w.o. pin is Ø12.7x17mm. 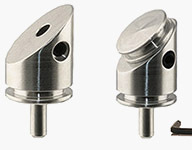 EM-Tec P35 fixed angle 35° tilt holder for standard and Tescan pin stubs. Used to pre-tilt samples 35° for Tescan FIBxSEM systems. Size w.o. pin is Ø12.7x17mm.